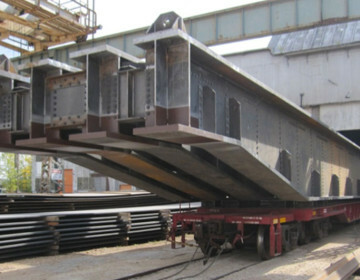 Capitol Steel fabricated four T.P.G. 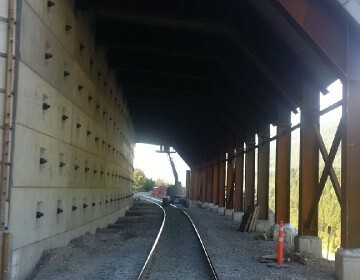 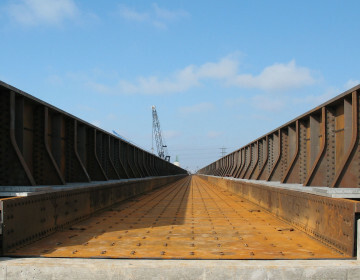 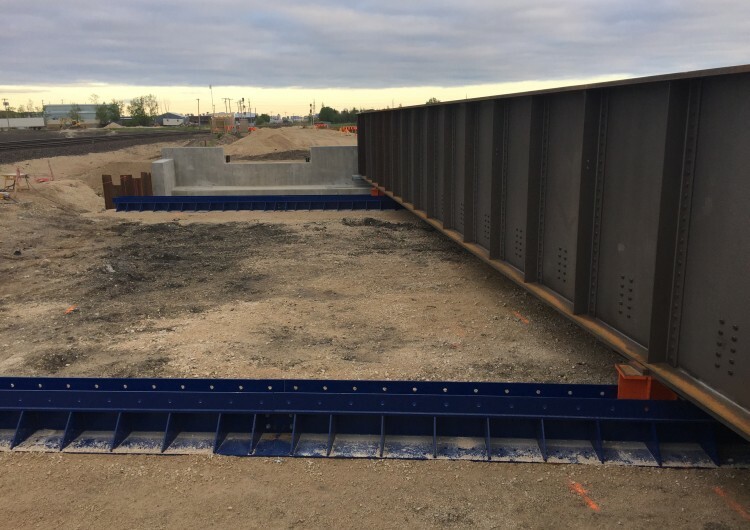 rail bridge spans for the Plessis Road Twinning and Grade Separation at CN Reddit Subdivision, in Winnipeg. 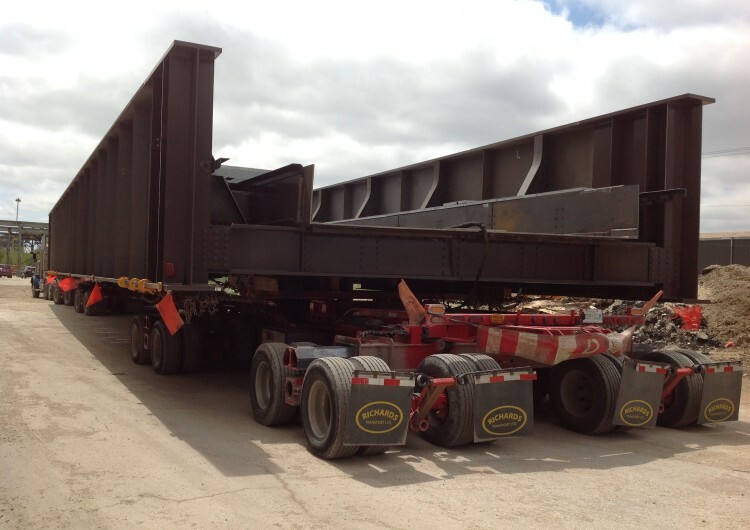 Each span was fully assembled at Capitol Steel’s facility. 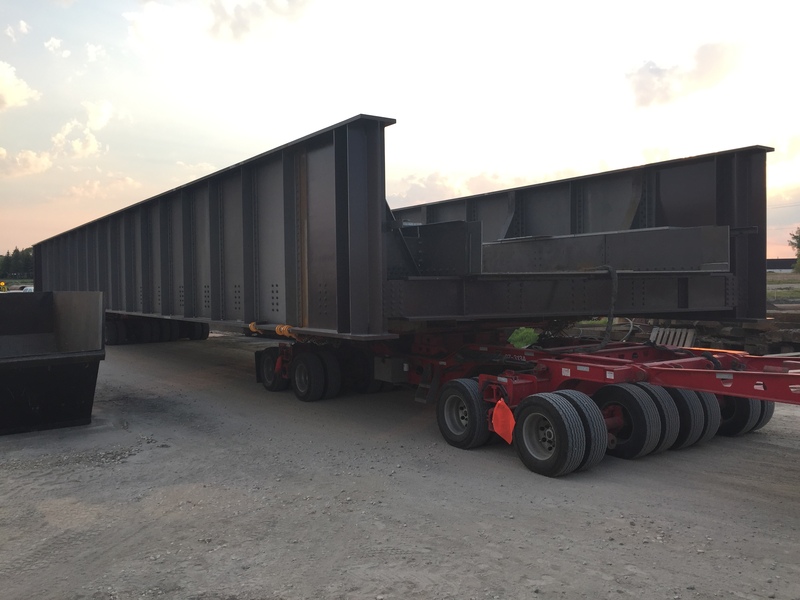 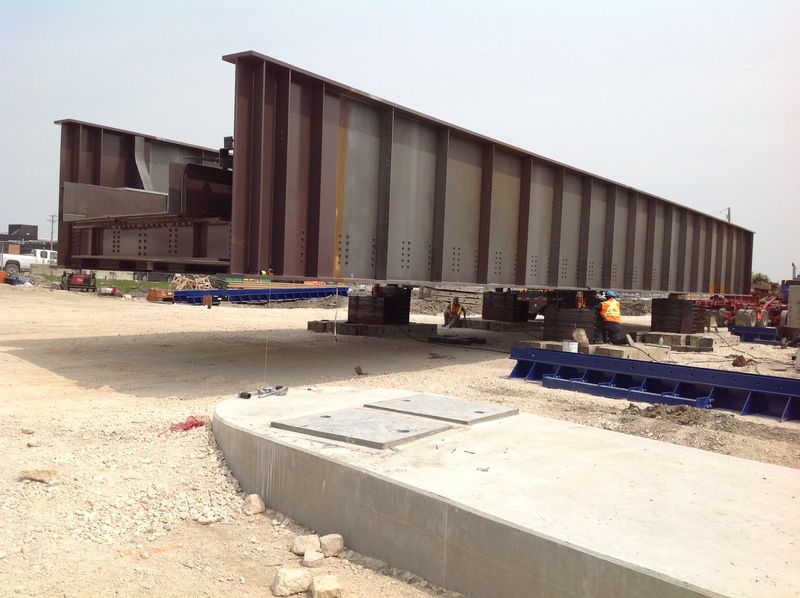 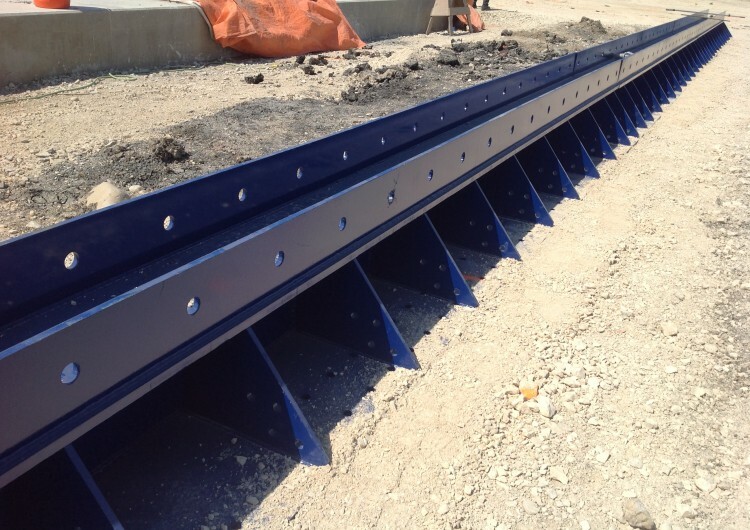 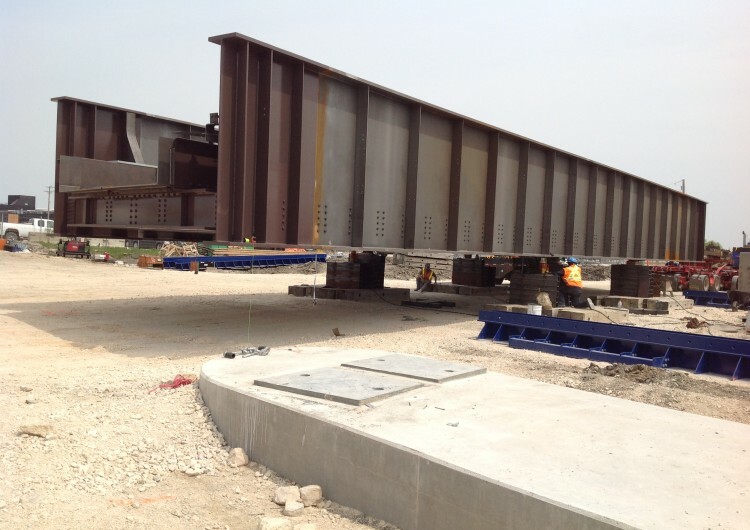 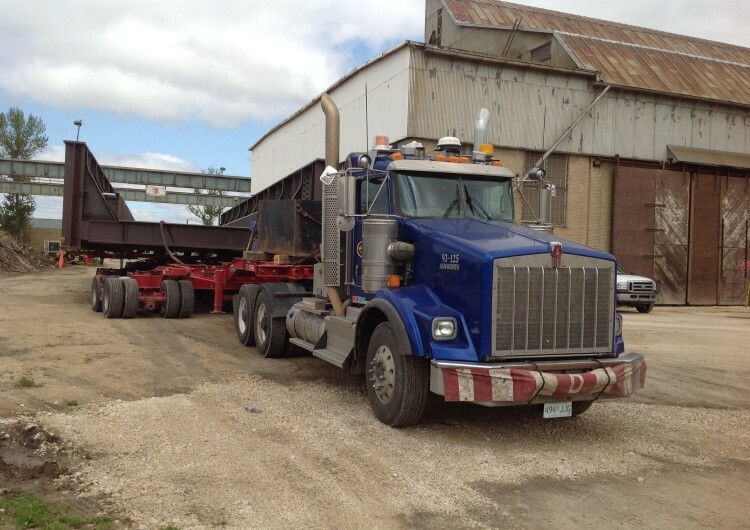 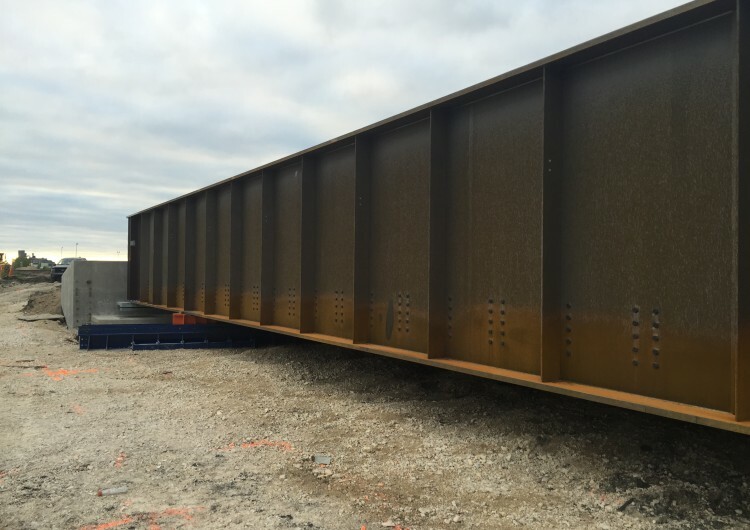 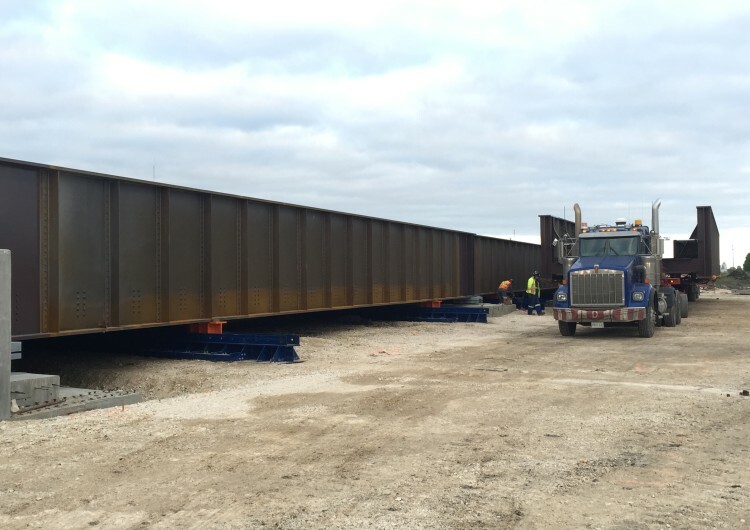 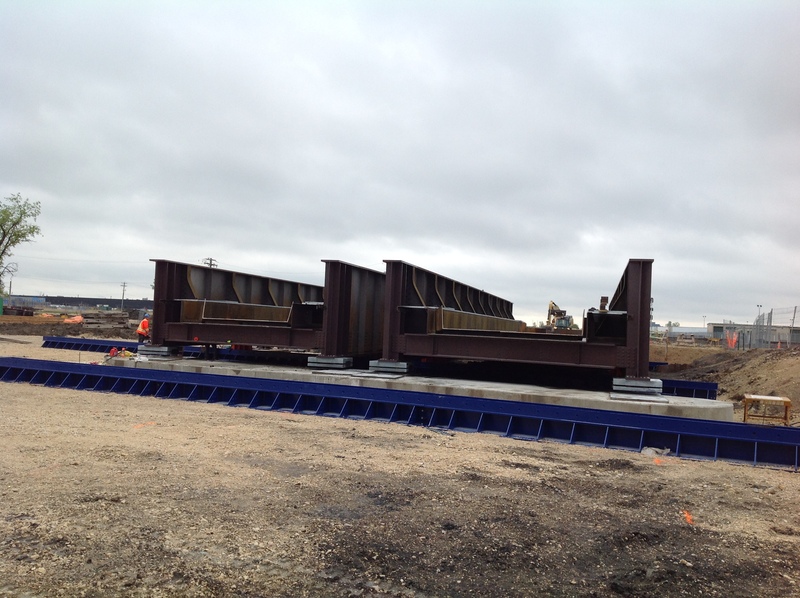 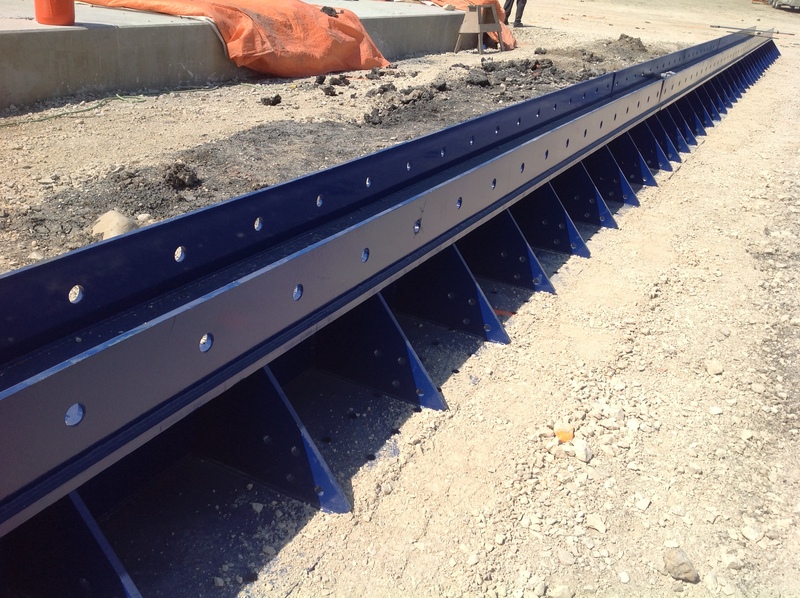 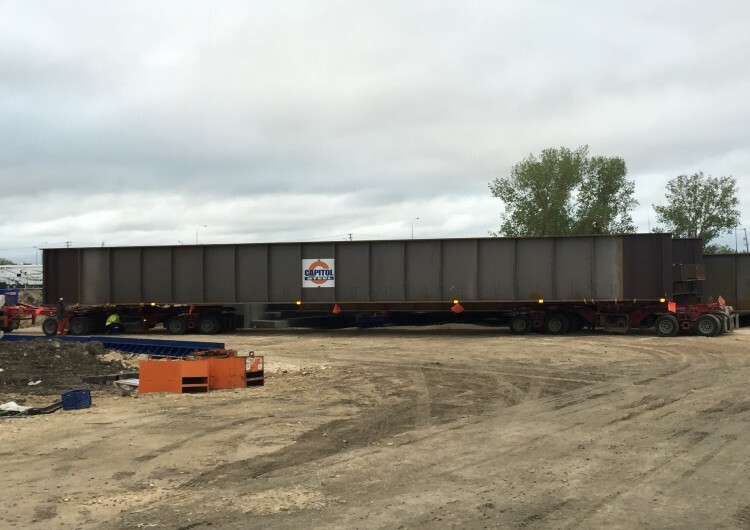 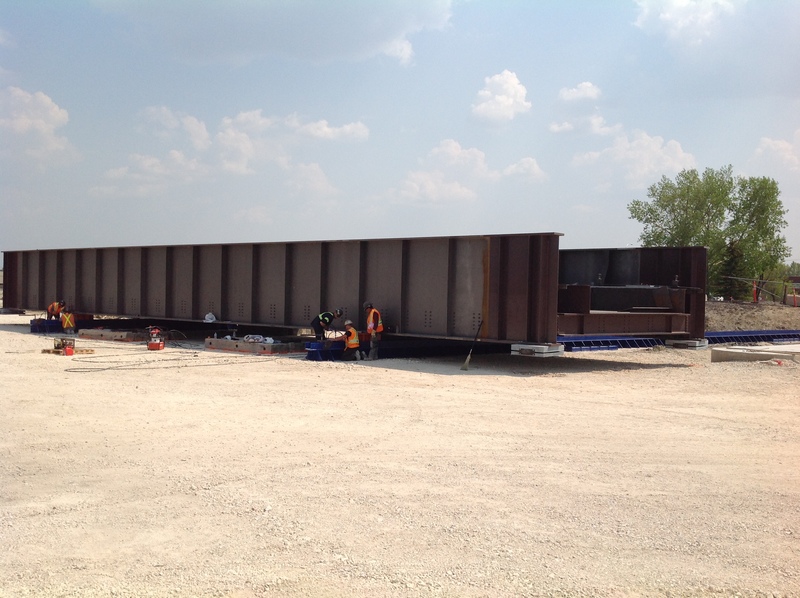 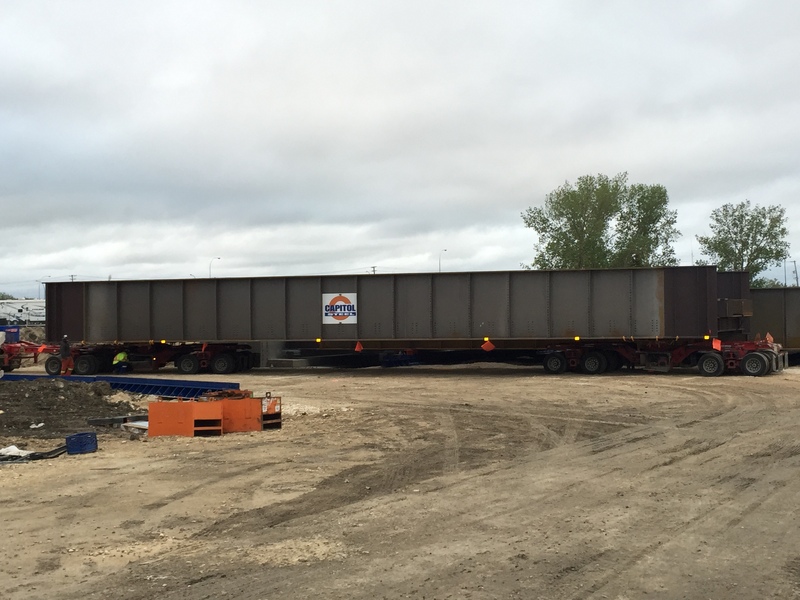 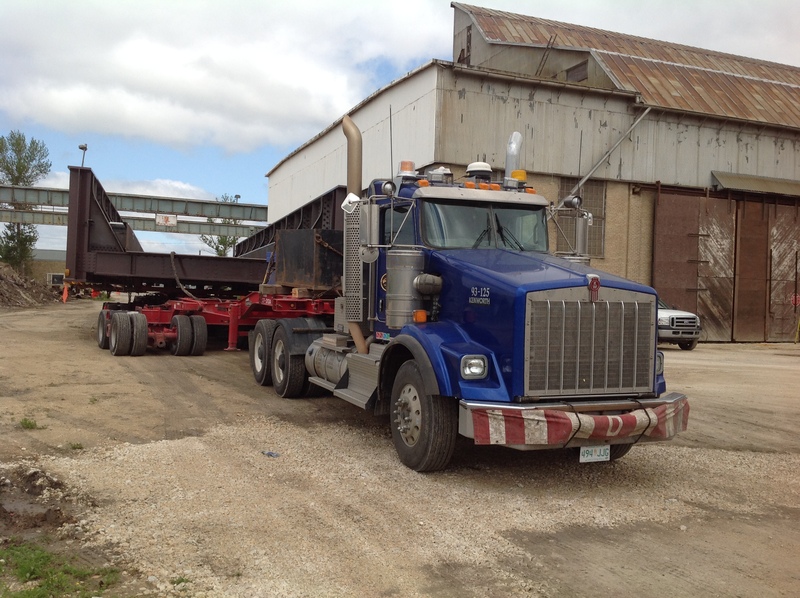 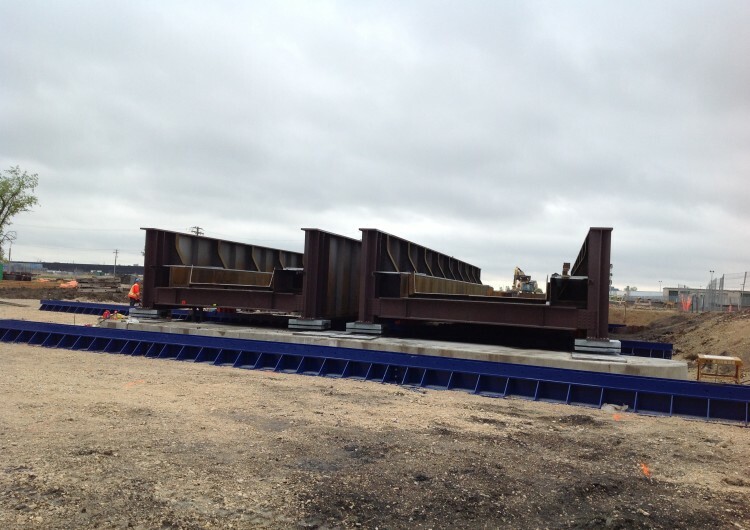 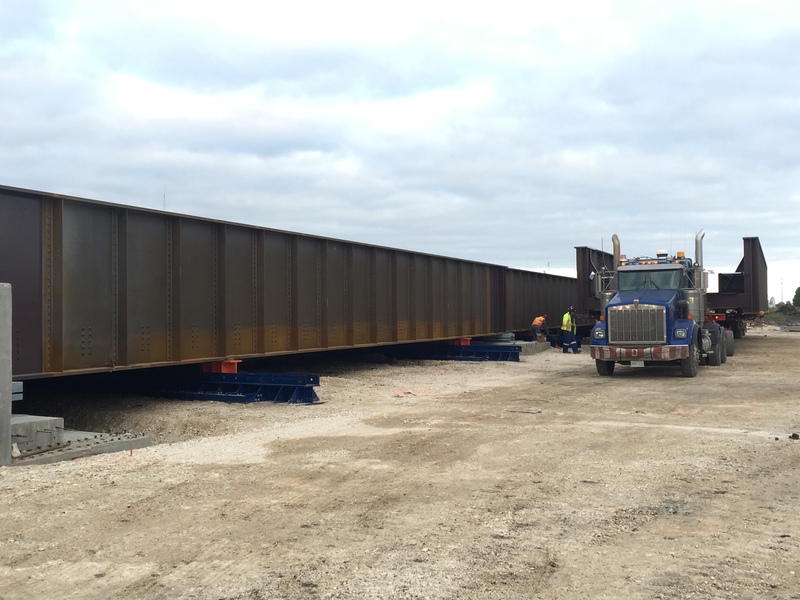 Each 150 ton span was then hauled to site in one piece using dual-lane steering dollies. 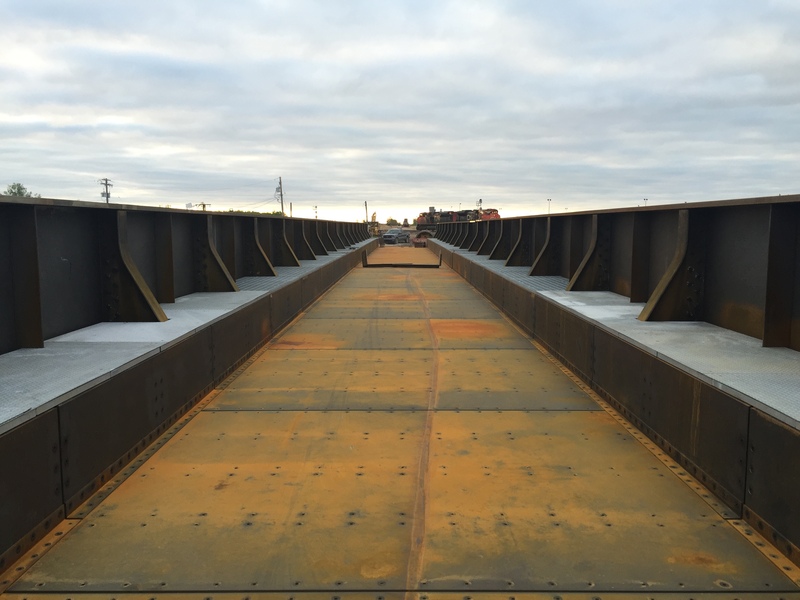 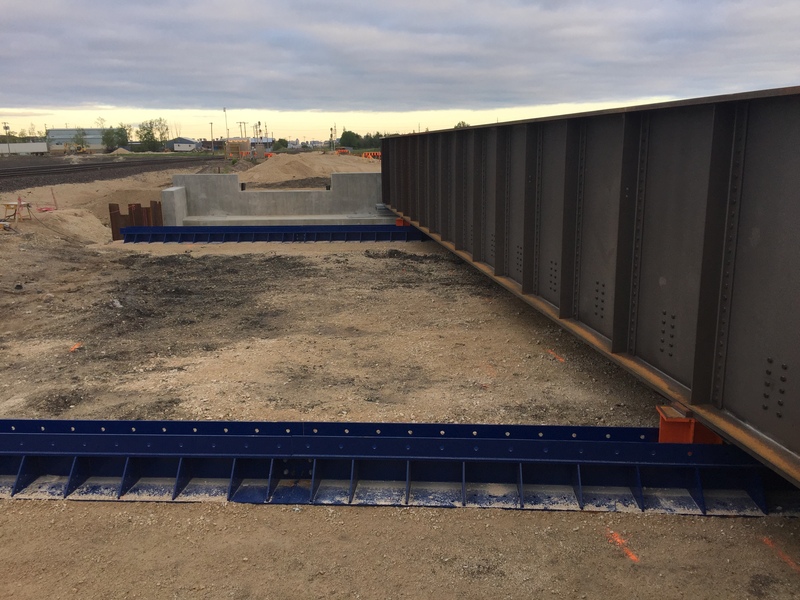 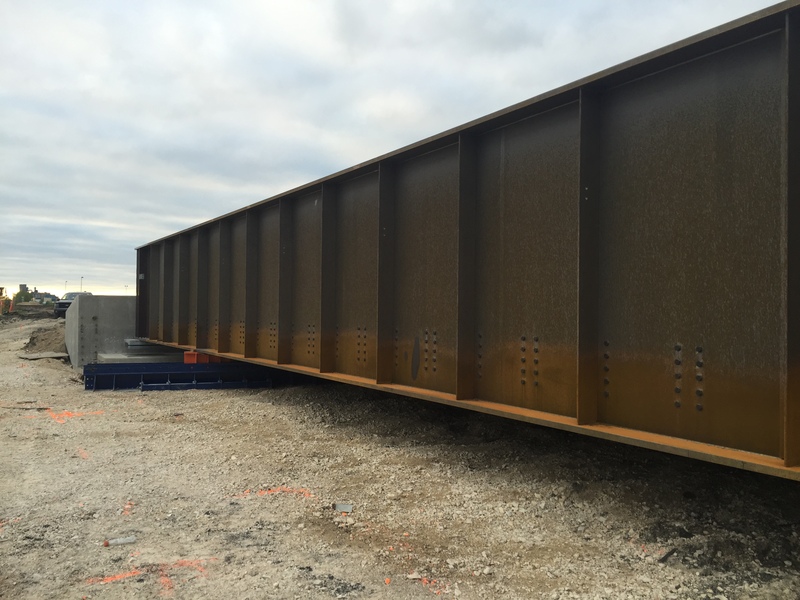 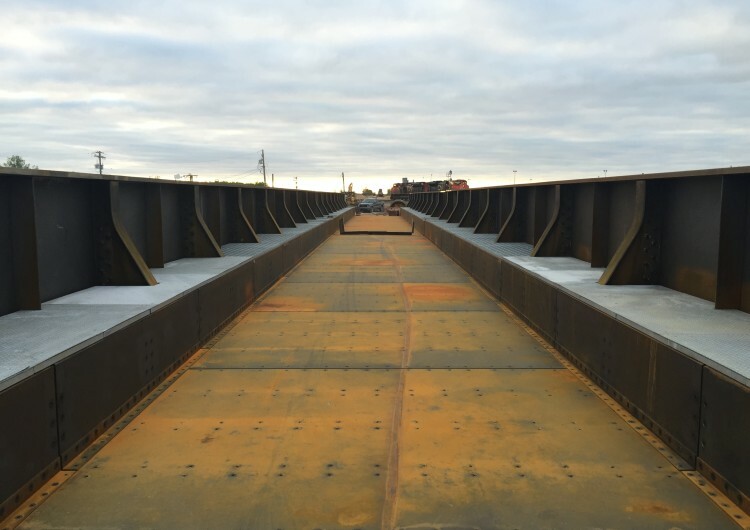 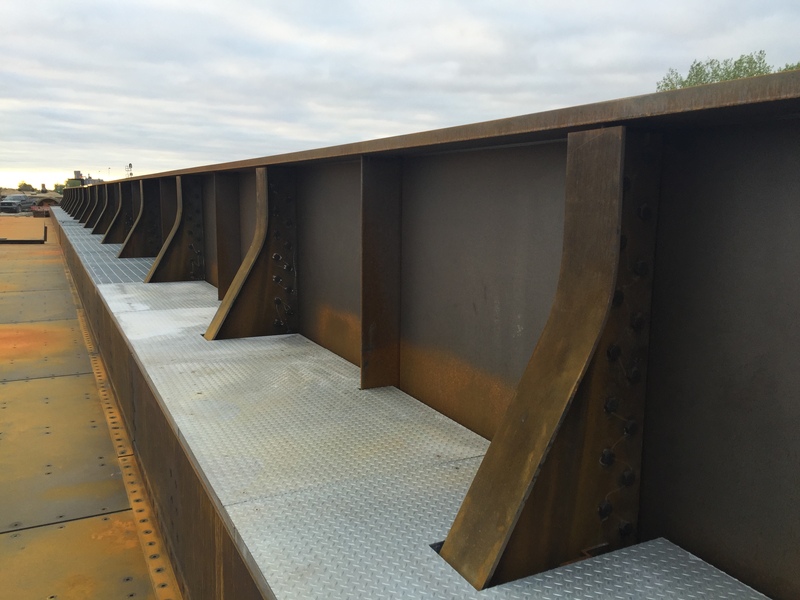 The spans were placed into final position on the pier and abutments using a hydraulic jack and slide system designed and manufactured by Capitol Steel specifically for this project.